'Oiwa Island 2' Installation at Shodo Island, Setouchi Trienalle 2016. 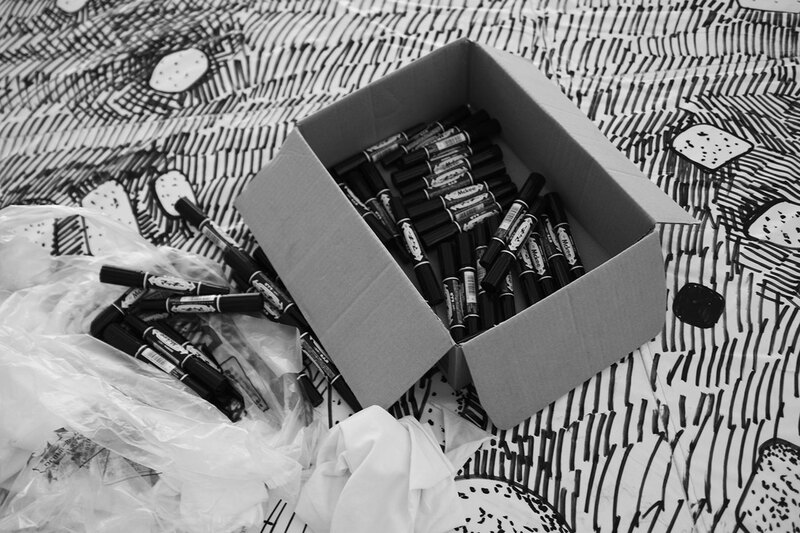 Photo courtesy of Oscar Oiwa Studio. Held across 12 islands in the Seto Island Sea in Japan, the 2016 Setouchi Triennale - that kicked off on March 20th - is a contemporary art festival showcasing new works by established artists, designers and architects. 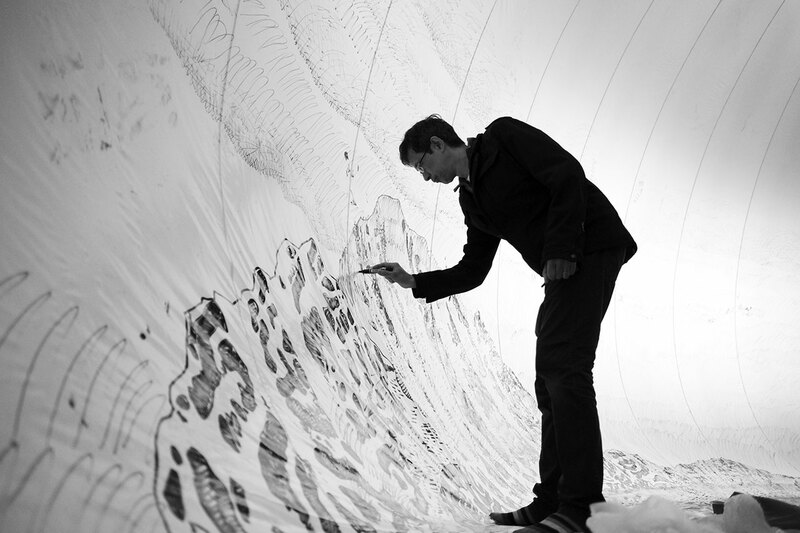 Combining all three professions for his latest installation, “Oiwa Island 2”, Brazilian-born, Japanese artist Oscar Oiwa has created an immersive drawing on the interior surface of an inflatable vinyl dome. 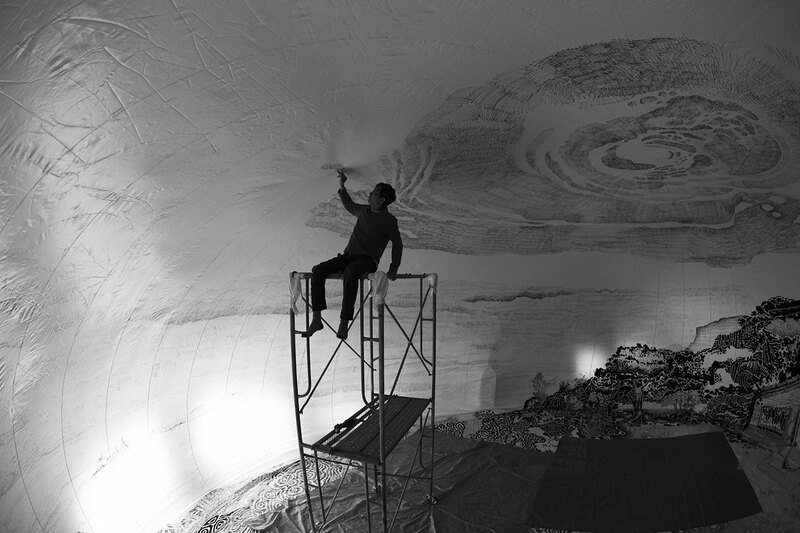 Known for his large scale paintings, Oiwa has gone one step further for this latest installation, creating a 360-degree drawing that covers the entire surface of the 6m diameter dome using only black permanent markers. Originally presented at the previous Triennale in 2013, the artist has expanded his rendering of the Setouchi landscape —depicting a small seaside cottage and forest— to include stretches of the sky and distant islands. 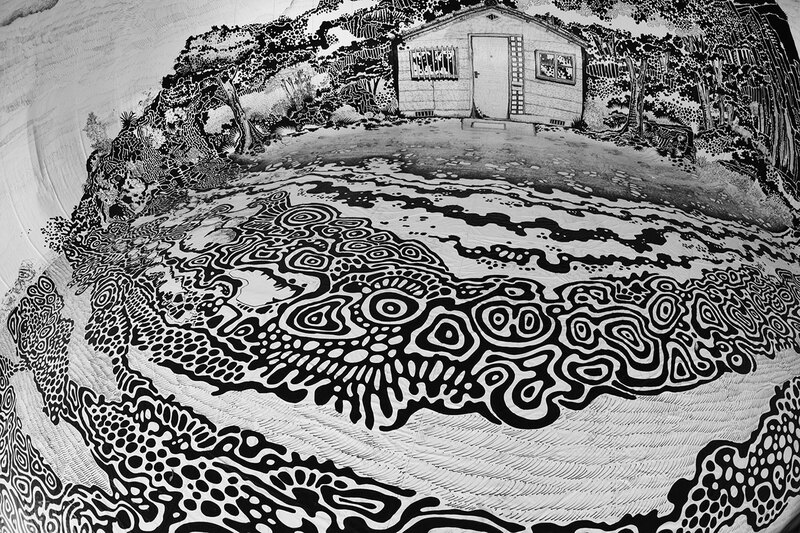 Located in a former soy sauce factory in Shōdoshima on Shōdo Island, the dome can be entered through a door that is also drawn as such on the interior side, as a hint of the installation’s interplay between reality and fantasy. Once inside, visitors are engulfed by an idyllic scene of carefully drawn details evoking traditional Japanese woodblock prints as well as tribal art, which hovers between the life-like and the fairy tale-like, in the realm of magic realism.